From a grid of zero four seasons ago to over 50 racers today, the Toyota Vios Cup has become one of the biggest motorsports events in the country. 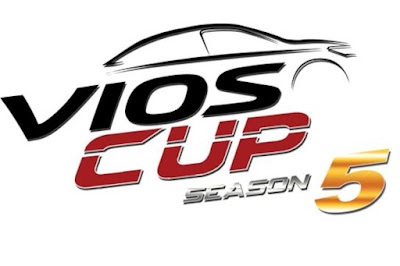 And now, Toyota Motor Philippines has just announced Season 5 of the Toyota Vios Cup. For Season 5, 50 racers will line-up in one of three classes: Super Sporting, Sporting, and Promotional Classes. However, to make this season even more intense, the racers will be held in a new three-leg race format (three races per leg) and car specifications upgrade for the Super Sporting Class. The race calendar starts on April 27-28, 2018 and ends on September 21-22, 2018 at the Clark International Speedway. The second leg slated on July 28-29, 2018 marks the return of the Vios Cup in Metro Manila with a street race at Filinvest, Alabang. This year, the Super Sporting Class are allowed to run additional upgrades to tighten the competition. This starts with a lightweight hood and trunk which should be worth around 1 to 2 seconds per lap on the Clark International Speedway and is it capped off with front TRD rotor disc brakes to provide higher stopping power. Season 5 will also see a mix of familiar and new celebrity faces. Sportscaster Gretchen Ho, fitness influencer Aubrey Miles, Japanese-Brazilian model Fabio Ide, and actor Troy Montero will be joined by actors Diego Loyzaga, Sofia Andres, Chie Filomeno, and Sam Milby. The Toyota Vios Cup Season 5 is done in partnership with Bridgestone and Rota, supported by Motul, Brembo, AVT, 3M, Denso, OMP, and Tuason Racing. Gates of the Clark International Speedway opens at exactly 10 AM on April 28. And as always, the Toyota Vios Cup is open to the public and is admission is free. With all the stuff they're stripping off the G model, they might as well race using the "Base" taxi-choice Vios. Haha.. Eewww.. I really hate seeing vios in the street with big spoilers, trd racing development badge. Yuck. Vios. Pang manong driver.